While addressing reporters after a workshop organised for top Security Chiefs in Abuja, Lieutenant General Olonishakin said that the demand that the Federal Government swap detained Boko Haram members for the Chibok Girls was a political decision that would not stop ongoing military operations. The workshop was organised for top Security Chiefs on how to respond to emergency situations such as terrorism and flood inside the Presidential Villa, Abuja. For the second time since their abduction two years ago, the video of the missing Chibok Girls with their captors has gone viral. This latest release coincides with the workshop for members of the National Security Council behind closed doors. How to respond to emergency situations is also said to be of importance to the Security Council, not just in the area of terrorism, but also in disaster management. Also at the workshop was the Minister of Information, Mr Lai Mohammed, who reiterated his position that the government was on top of the situation. He said efforts to rescue the girls would continue until the girls are out. That’s an optimism many Nigerians would want to see happen in the nearest possible future. For now, they say the Chibok girls have over stayed in the hands of Boko Haram and that is seen as a challenge for the government. 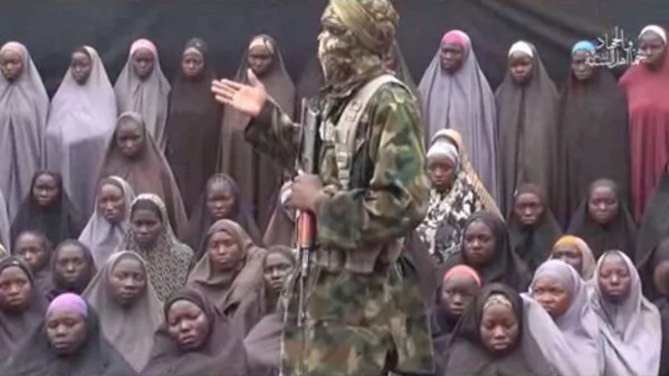 The Boko Haram had in the video claimed that the Nigerian Air Force killed some of the girls in aerial bombardments. It also released video footages showing some deceased girls. Earlier, Lieutenant General said the the Nigerian military has begun analysing the new Boko Haram video posted by the terrorist. He also said that the war against Boko Haram was a military operation that is going on appropriately.